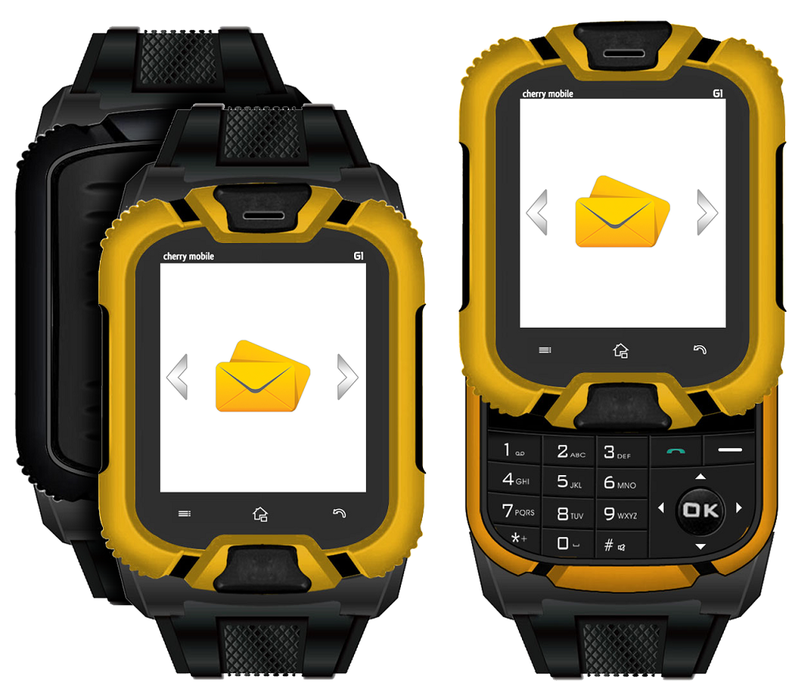 Cherry Mobile outs its most appealing wearable device - the CM G1 watch Phone. It's a 1.44-inch TFT Touch LCD with slider key to reveal the hidden keypad. Interesting isn't it? And the price tag will also be a rock-bottom affair in Php 1,600. This not-a-watch-not-yet-a-phone device (or maybe it's a hybrid between two devices) will sport a VGA camera, a micro SD support of up to 8GB and mass storage function. It'll also come with a bluetooth headset out of the box to keep you wire and tangle free. And did I say it has dual-SIM capability? Oh...well. Obviously, this combo device is a hot stuff around the local scene for weeks now. So if you're itching to get one, go for it. Price is practical anyway.